Album is amazing. Every track on my iPod; normally lucky if I pick 3 tracks from an album. 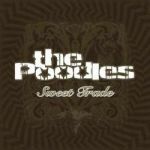 If you like rock/metal, that's fun, passionate, and not up it's own arse, the Poodles are for you.